Question for those of you who work with employers…..do you have an Employer-DPC practice contract that you would be willing to share with the rest of us? Also, do you have a separate contract with each of the employees (like you do with regular patients)? We don’t have a contract with the employers – we feel the contract is only with the patient — however, the employer can send the check on behalf of the employee/patient. 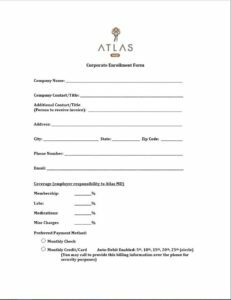 This is the form that we use for setting up corporate accounts. I am meeting with a guy who contacted me about working with businesses. I initially tried to talk to smaller businesses to get patients when I started but it was like hitting my head against the wall. My guess is this guy would be a liaison/broker between small businesses he works and me to use the self-funded/DPC option. Anyone else have some tag lines, sound bites to sell him? Any research info to show him? Any advice or suggestions? Anything I should watch out for? I think the important thing when talking to employers/insurance companies is to “show and tell”. Show them the objective savings (here is how we can decrease your specific costs compared to last year). And Tell them how their employees will benefit in the more subjective ways of unlimited visits, no copays, less time off work, the ability to call/text/email their doctor, weekend coverage etc.You can show them the attachment from a company we pitched (and sold). When you can show them facts like 31.8% of their insurance paid claims is from office visits (+ $40 copays each – not factored in to this craft), 34.4% of their claims paid are medications and only 14% are outpatient services and ONLY 19% are for hospitalizations…..this group had a separate policy for labs (which we can decrease at 95%)….so only 14 + 19% or 33% of their insurance was even needed….This group was paying $1100/mo/employee family and didn’t have a single individual claim over $3k….so they paid north of $12k/yr/employee for insurance and never used more than 3k each…. The savings can be 30-60% when converting from a traditional (full-insured) plan to a partially self-funded plan. The carve outs are in general the items that a) dpc does very well, b) we can make affordable – copayments, procedures, meds, labs, imaging, pathology, decreased urgent care/ER usage, decreased specialty referrals etc. 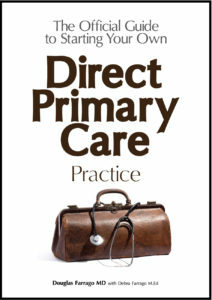 That is how we can show them why they want to work with DPC to lower their premiums, their claims, and improve their health at a MUCH lower cost. So the money ball stat that matters to the insurance companies is “price per member per month” and its crazy low with DPC. Our insurance broker, Joe Martin, has been told that ins company profits are 4x higher with our plans than any other ins plan.